For the past couple of months I have been collaborating with Rowan Edwards to make a quilt from the clothing of his grandfather, Sunny Edwards. 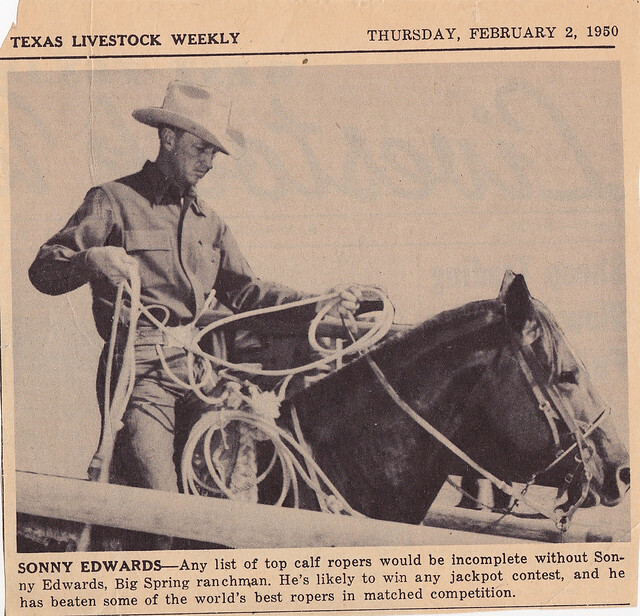 Sunny was a rodeo cowboy from Texas. In these photos from 1950 Sunny is 30 years old. 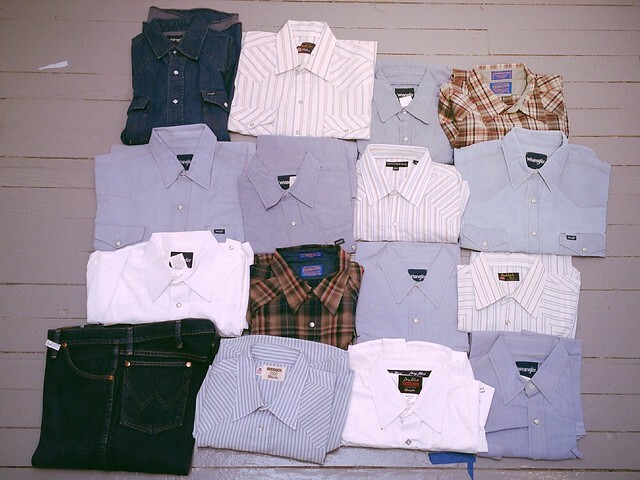 Sunny's fabulous western shirts, mostly Wrangler chambray, but also a few Pendleton wools and dress whites and stripes are his collaborative gift to Rowan, and the score for our improvisation. For Rowan these starched, snap front shirts are the epitome of Sunny's personality. He was an independent thinker who was well-respected amongst his peers. Rowan is a designer and a shoe maker and he had the idea to make this quilt before we met. He was guided my Passage Quilts through one of his friends from art school who had heard of the bereavement work I do through improvisational process and quilt making. Rowan wanted to take an active role in making the quilt. Rowan and I (and Sunny) meet weekly for three-hour collaborative sessions. After all it's Sunny's style --his fabulous western wear-- that has set the course for the project. He is a partner in our collaboration. After the initial consultation Rowan and I met to cut Sunny's shirts apart. 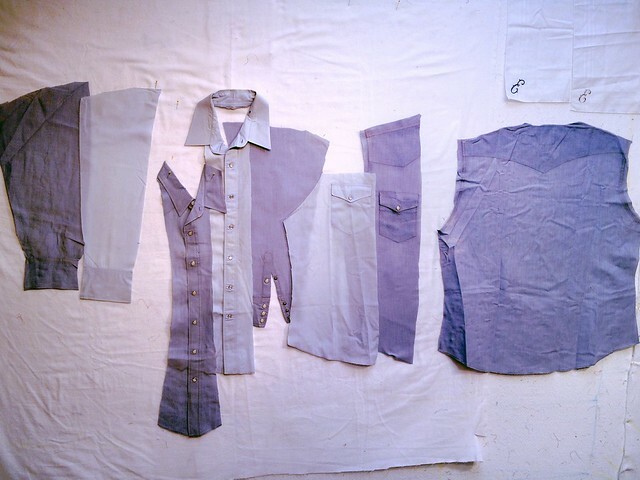 Acknowledging that these clothes will never be worn again by cutting them apart is often the most significant step in the bereavement quilt making processes. Did you know that the word bereavement means to tear apart? The experience of assessing, cutting, preparing pieces for a quilt that is supposed to represent a life well lived proved more complex than anticipated. 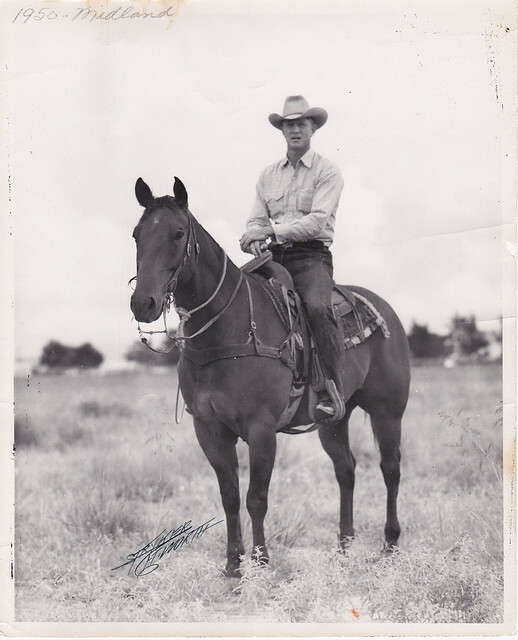 How do you fully represent, honor people from your life story that offered so much in the way of legacy, integrity, quality of life, quiet sophistication and humor? Documentation is only a start. Having something concrete helps me remember and tell the tales that only hint at the value Sunny brought to those who knew him. So much more can be done. But this is a good start.